Actor. Born: July 5, 1904, Burrton, Kansas. Died: June 12, 1980, La Jolla, California. Milburn Stone was born in Burrton, Harvey County, to Herbert and Laura Belfield Stone. He spent his early years in his home town and nearby Larned. After high school he became a traveling actor and eventually began appearing on stage and then in more than 150 movies. 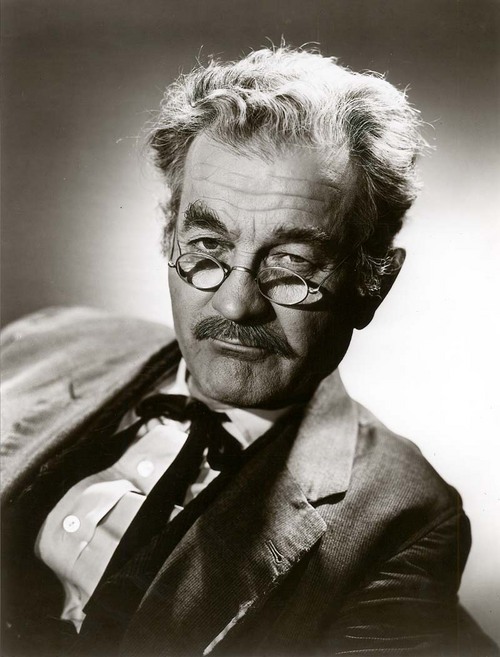 Stone's long training paid off when in 1955 he won the part of "Doc" Galen Adams, a physician, in the long-running western drama, Gunsmoke. The inspiration for his character was Samuel J. Crumbine, an early doctor and health advocate from Dodge City. l He wore make-up at first to cause him to look older. But as the series continued over the years he no longer needed much. The series ended after a 21-year run. Stone won an Emmy for his acting in the series in 1968 and received an honorary membership in the Kansas Medical Society. He also received an honorary doctoral degree from Dodge City's St. Mary of the Plains College. Stone lived on the West Coast but was involved in many civic and charitable causes in several Kansas communities. His boat was named, the Jayhawk. Stone died June 12, 1980, in La Jolla, California.